Granddad Samson-Higgledy the Victorian cut flower grower and showman to the stars showed me how to grow Mina Lobata blindfolded and whilst tied to a moving steam train. 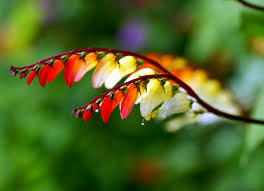 The name Mina Lobata seems to have been changed to Ipomoea Lobata by the good people of the Ministry for Fiddling About….here at Hiiggledy I refer to it as Mina…or ‘Spanish Flag’. Mina Lobata is a native of Mexico and is a fan of twining itself up and around over things,,,a half hardy annual climber….in fact it is in the Morning Glory family…despite not having the usual saucer shaped flowers. Instead its blooms cascade from a flaming, lava red…to Jafa orange..fading to cream. 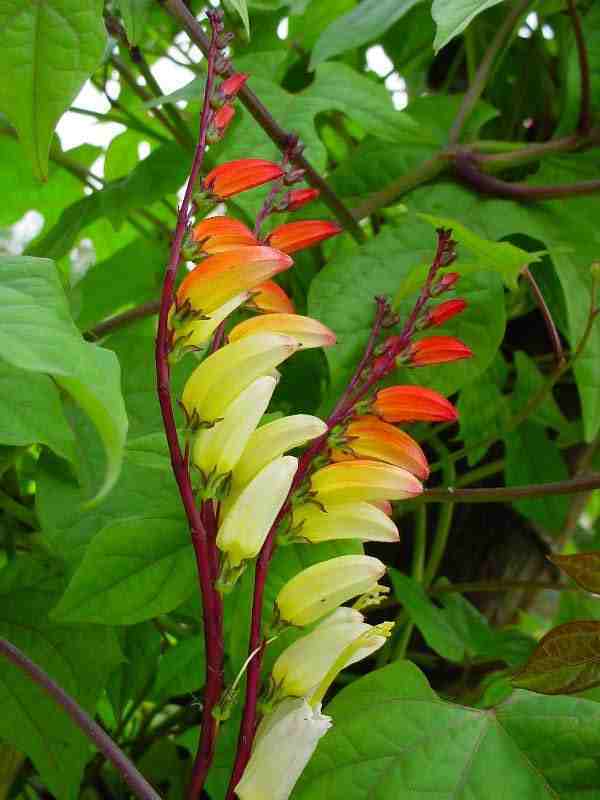 Lobata Wigwaw…all the rage in Bromley. 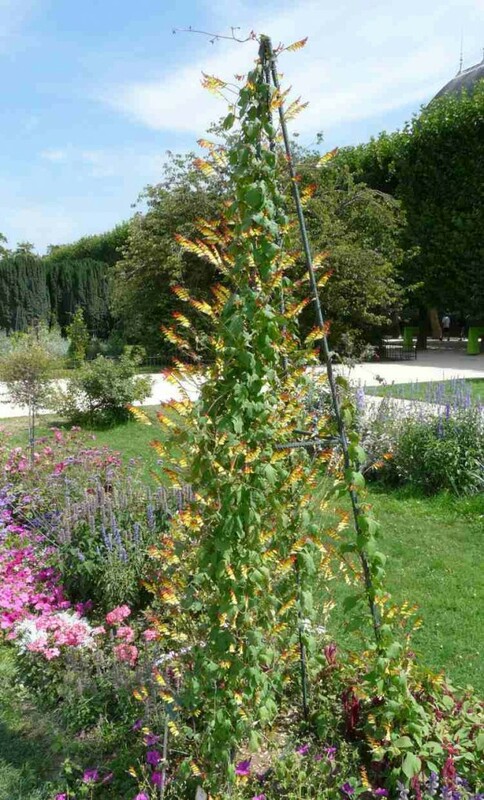 Reginald Samson-Higgledy often used Mina Lobata in his world famous displays despite those around him saying the climbing annual was not suitable for cutting. He said it stirred a fire into the embers of lack lustre displays and as it flowered for months on end was a great addition to a sheltered cut flower patch. He informed me that whilst many gardening folk would soak the seeds or scratch them with a knife…he would simply sow them as usual into seed compost to about three times their depth and keep the compost moist until after germination. Reg always sowed in the last fortnight of April…usually after he had sown his hardy annuals outdoors. 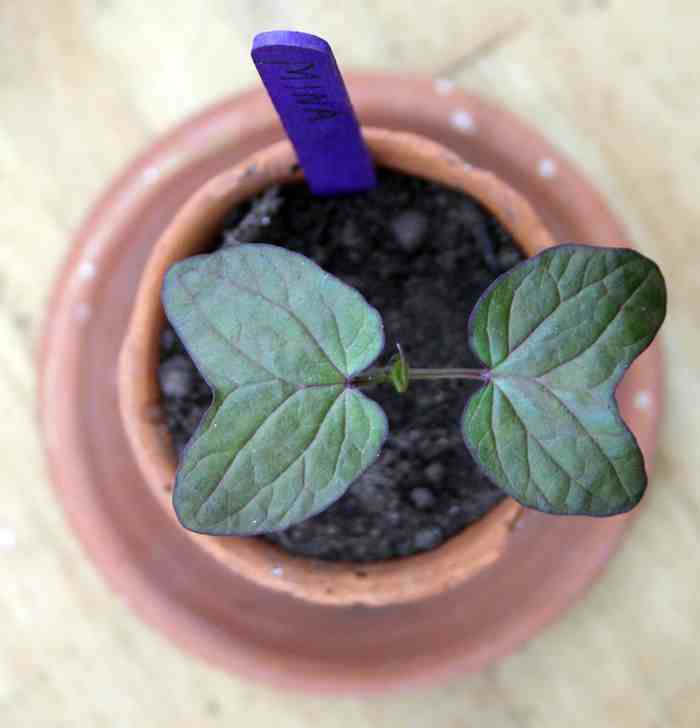 He would sow a single seed into a three inch pot. This is actually Ipomoea ‘Heavenly Blue’ just to confuse you…but Mina looks super similar. …oh…here’s one that Karen took…a bit younger I think…I mean the seedling…not Karen…though she is a bit younger too…than me…not the seedling. After germination he would keep the compost a little bit drier than usual…this he said kept it slightly warmer which Miss Lobata was fond of. Granddad was careful not to put the plants out to early and would often leave it until early June to avoid any cold May nights and he would leave the plants outside during the day for 10 days before planting out. A sunny and sheltered spot was always reserved…space them about a foot apart and give them something to climb up. These wonderful plants can grow up to 6 feet in the UK. His plants would flower until Christmas and were the talk of Europe and some say even beyond that. NB Modern day growers often place their seed trays in poly bags to keep the moisture in…I don’t…seems not to matter…but just so you know. 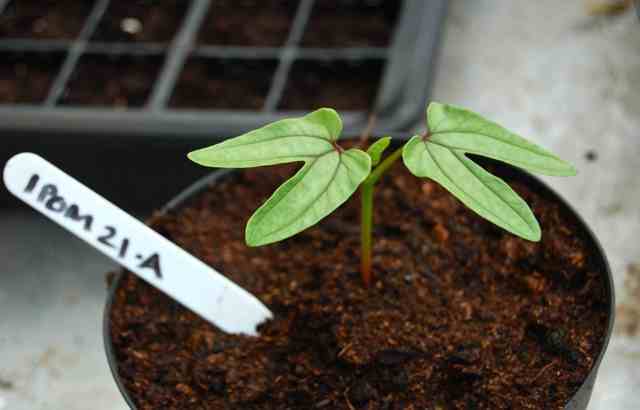 I of course sell wonderful Mina Lobata seeds at £1.95 for 15 seeds.